Chris grew up in St. Catharines, Ontario, and began competing on the 'A' circuit at age 11. He spent much of his youth training with some of the best coaches and riders in North America, including Missy Clarke, Torchy Millar, Geoff Teall, Tim Kees, Jeffery Welles and Hugh Graham. He had a very successful junior career, winning numerous equitation and jumper championships all over Canada and the USA. He was a concert level pianist by age 18 and earned a pair of degrees from Queen's University - a B.A. in Psychology and a B.Sc. (Honours) degree in Biology. Following graduation, he decided to focus his attention full-time on his equestrian career. Within a couple of years of graduation, under the guidance of Torchy Millar, Chris and his top mount Silent Sam established themselves at the grand prix level and went on to win a string of World Cup victories at some of North America's most prestigious shows. 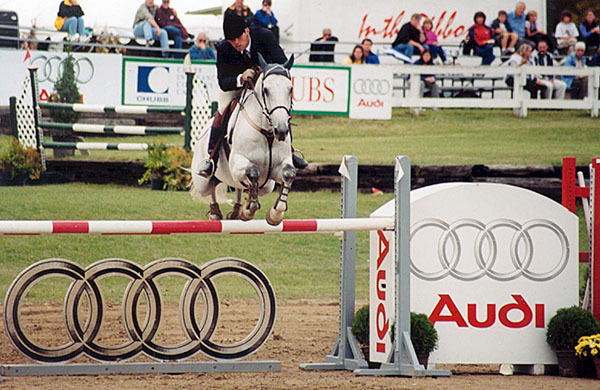 As a result of his incredible success, Chris' dreams came true when he was named to the Canadian Olympic Show Jumping Team and earned the Canadian World Cup League Champion title in 1996. Silent Sam was subsequently sold in 1998 to the United States. 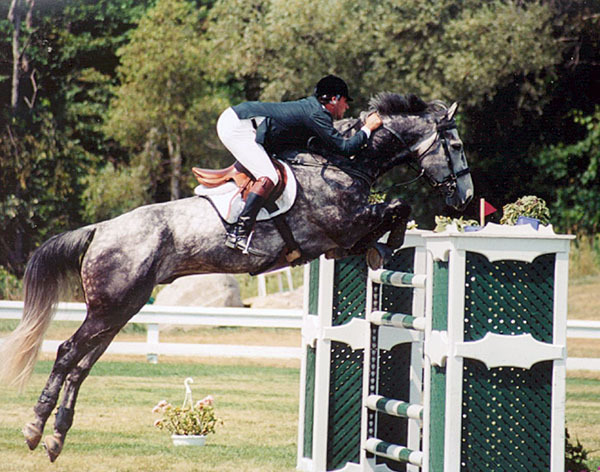 Since then, Chris shifted his focus to his business, developing a number of other horses to the grand prix level and continued to develop the minds and careers of other talented young horses and riders to the highest levels of the sport. In 2000, he established Chris Delia Stables (CDS), a full-service training center in Oakville, Ontario which has since moved to Kelynack Farms in Burlington, Ontario in 2014. Over the years, CDS students have excelled in the show ring from the pony divisions to the Grand Prix level. 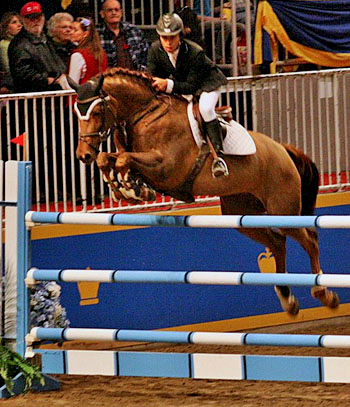 His students have won countless Zone awards, numerous equitation championships both in Canada and the USA, top placings in some of North Americas most prestigious Grand Prix, represented Canada at the North American Young Riders Championships and competed in the Canadian Show Jumping Championships. Chris has earned a reputation as one of Ontario's most sought after trainers and is always eager to help aspiring riders of all levels and ages to realize their dreams. He looks forward to continuing his passion for helping others through their journey in the sport and hopes to be the source of many more success stories to come. "Chris Delia was my mentor for nearly 8 years. He brought me up the ranks from the large ponies, children's jumpers, North American Young Riders Championships to the beginning of my Grand Prix career. Chris always had an exceptional ability to communicate information to his students. He influences them to think as professionals, to understand the sport and the training system that goes beyond just riding. Over the years he connected me with several incredible horses essential to learn from and provided the tools to develop them as well as myself. From his expertise we constructed a foundation I refer to when riding every horse, young or experienced. I gained an understanding of how to communicate with my equine partners, while always regarding them as my teammate. I recommend investing time with Chris to every budding equestrian enthusiast who wishes to have a future in the sport. "